We would like to wish Sergeant Major, William J. Buzinski a speedy recovery. Sergeant Major, (SGM/29yrs retired Army), also affectionately referred to as “Pops” had an accident following the Saints vs. Steelers game. He fell off a 10 foot ladder, and was in SICU after breaking his hip in 5 places, compression fracture pelvic bone, and compound fracture elbow. His kidneys stopped working amongst other issues. Sergeant Major is a HUGE Steelers fan, and we want to send him well wishes and let him know Steeler Nation is rooting for him. His son, MSgt William “Buzz” Buzinski, retired Air Force One Security contacted us recently to say his dad is healing slowly, but things are going well. 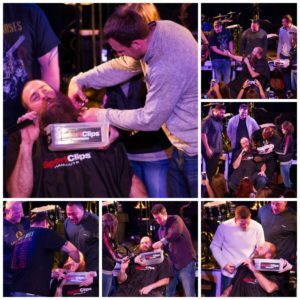 Longtime followers of this website may remember MSgt William “Buzz” Buzinski from a post we did on him a couple years ago. “I am writing you to see if this request would be possible. I can’t imagine the number of request you guys receive everyday. I am MSgt William “Buzz’ Buzinski and I currently fly on Air Force One. I was unfortunate to miss Da Beard and others as they visited our hangar for a tour of my aircraft as I was on my way to Antigua with my wife that same day. I tried my best to rearrange my schedule but it didn’t work out. I have been flying on AF1 for the past 13 years and have carried many Steelers Jerseys and Terrible Towels during the football season so I could harass the Patriot and other fans I fly with. 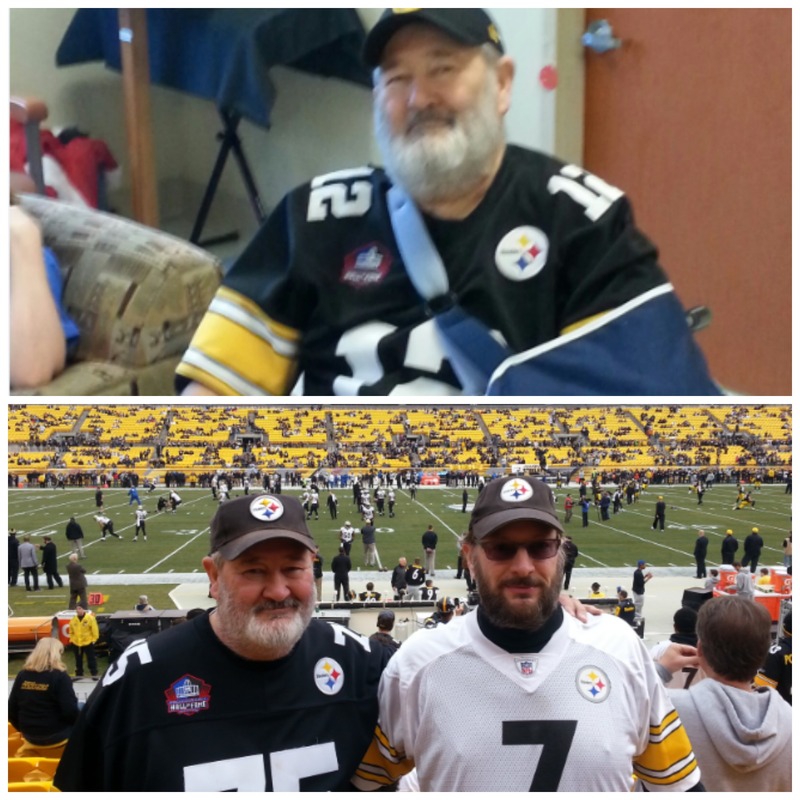 I am a die hard Steeler fan and I am retiring from the Air Force on 1 August with a ceremony on 14 June. 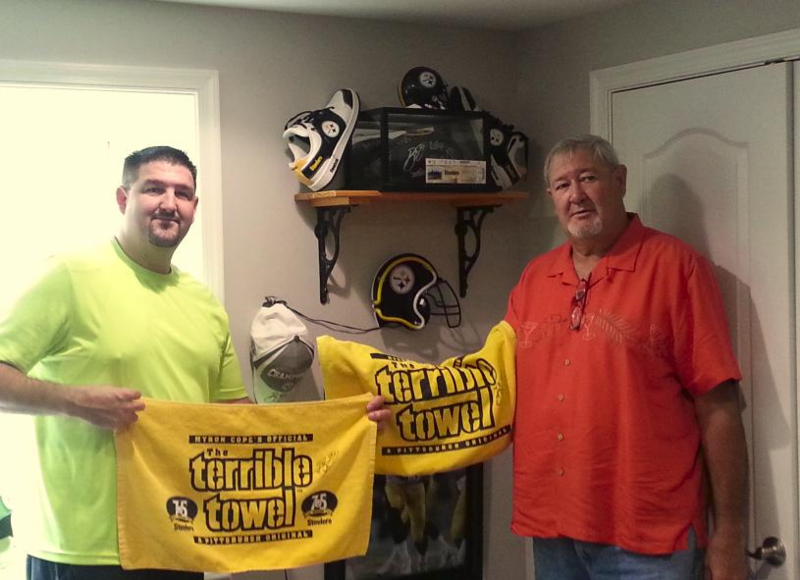 I am inquiring to see if there was anyway to get an autographed Terrible Towel from Da Beard. I have plenty and could mail one to you if this request can be accomplished. I truly wish I could have had the chance to meet him and the others but thank them for the inspiration throughout the years. Brett was honored to receive Mr. Buzinski’s request and more than happy to sign his item. Read the entire post by going to the 2013 Archives and scrolling to September 6. He said they will be watching the NFL games today together (wishing their Steelers were playing) , and of course they will be wearing their Da Beard Gear hats. Best wishes to “Pops”!!!! We greatly appreciate what both of you have done for our country.